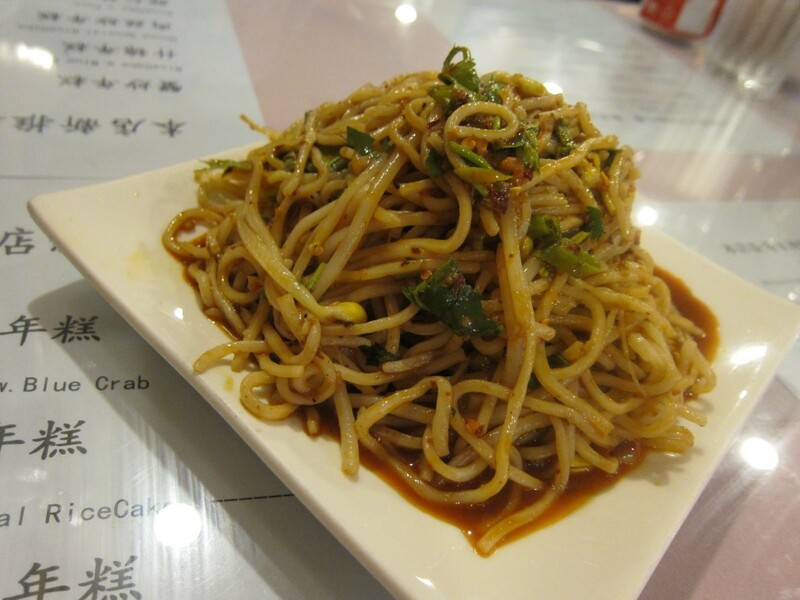 To begin, we kicked off with a classic — Chengdu noodles with spicy sesame sauce ($4.50). Even though this was an appetizer portion (pictured above), the plate was so heaping this would have functioned as a perfectly decent entree. The more the better, however — these noodles are among the best chilled Sichuan noodles I’ve had. You could really taste the sesame paste on these noodles — combined with spicy oil and a little crunch from mung bean sprouts, the noodles were outstanding. The dish here, however, was nicely done — the pork was well cooked, some bits with a little bit of charred crunch to them. And the plate was so loaded with juicy plump peppers that it makes you wonder why one should bother eating non-spicy greens at all. 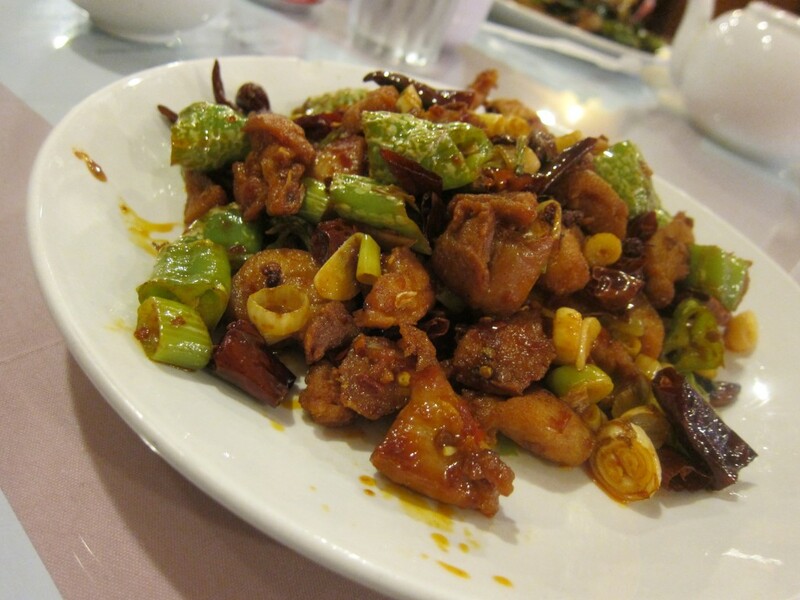 Peppery dry-fried Sichuan chicken is always a must for me — if you haven’t tried Grand Sichuan’s, you simply must. It’s seriously addictive. As Sichuan meals go, this isn’t the best you’ll find in New York — the noodles are worth returning for but far better versions of the rest can be found in other places. If you have a spicy itch to scratch, however, it’s not a bad pitstop. Just be sure to bring your leftovers home — they taste even spicier the next day. 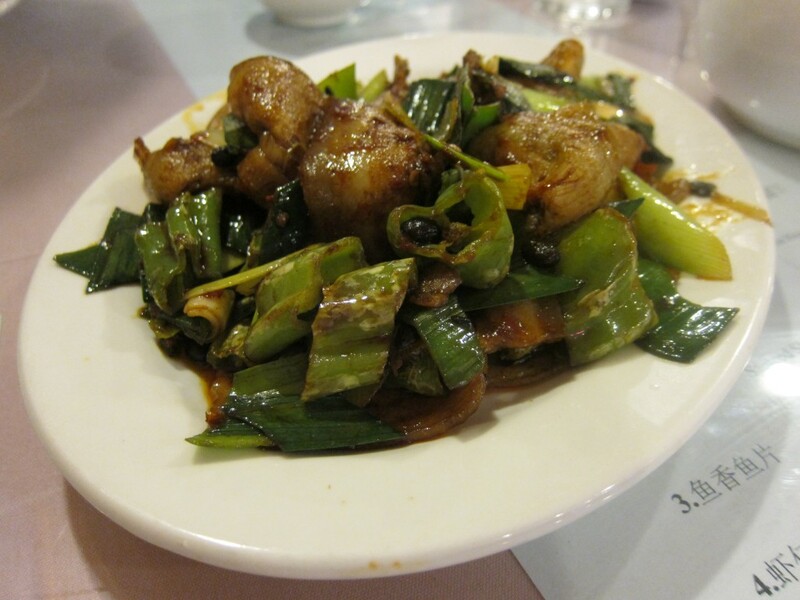 This entry was posted in Asian, Chinese, New York, Restaurants, Sichuan by Cheryl. Bookmark the permalink. My dad was in town recently, and know his love for all things spicy, I took him to Grand Sichuan House in Bay Ridge (http://nymag.com/listings/restaurant/grand-sichuan-house/). He ordered a spicy beef dish that he kept eating even as the sweat poured down his neck (lovely visual, huh?) He loved every minute of it. I know it’s a bit of a trek from Manhattan, but it is really, really good. That sweat on the back of your neck feeling is the best when you’re eating spicy food! (I actually love it when I feel the top of my head sweating while eating spicy food. Why am I admitting this?) Thanks for the heads up — I’m definitely checking it out the next time I’m near there! Hi Cheryl, we say similiar things in Korea…. “Yee Yul Chee Yul”. It basically means….You eat hot foods to fight the heat in summer:-). Thanks for posting this… I LOVE spicy foods!!! 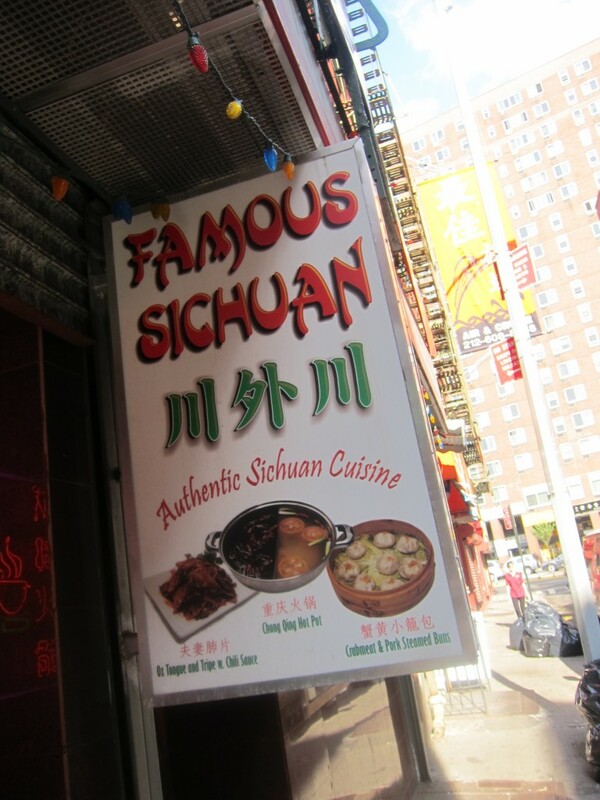 Next time when I am back in NY, I’ll check out Famous Sichuan. Love that saying…it’s so true! Thanks for sharing… (Next time you’re here, you should also check out the yook gae jamh at Kang Suh in Koreatown. Fiery!